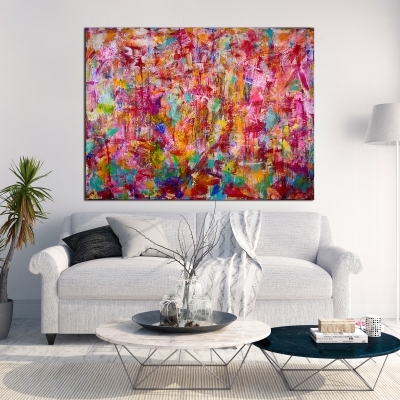 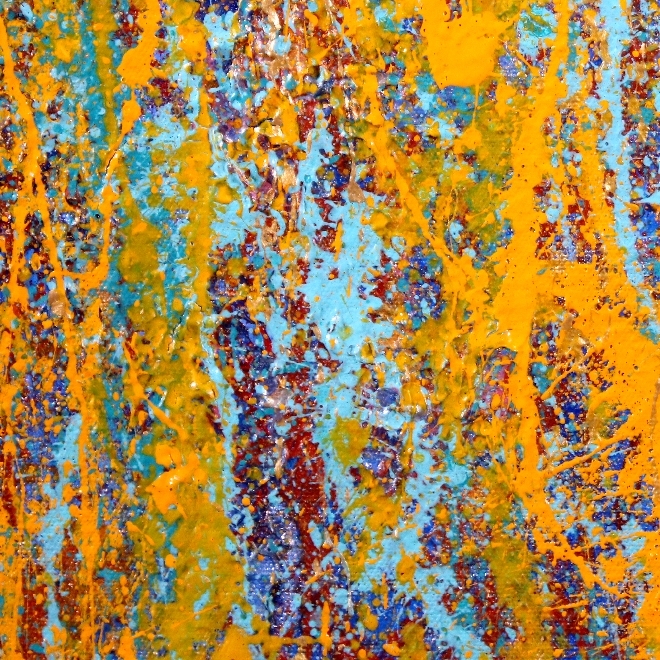 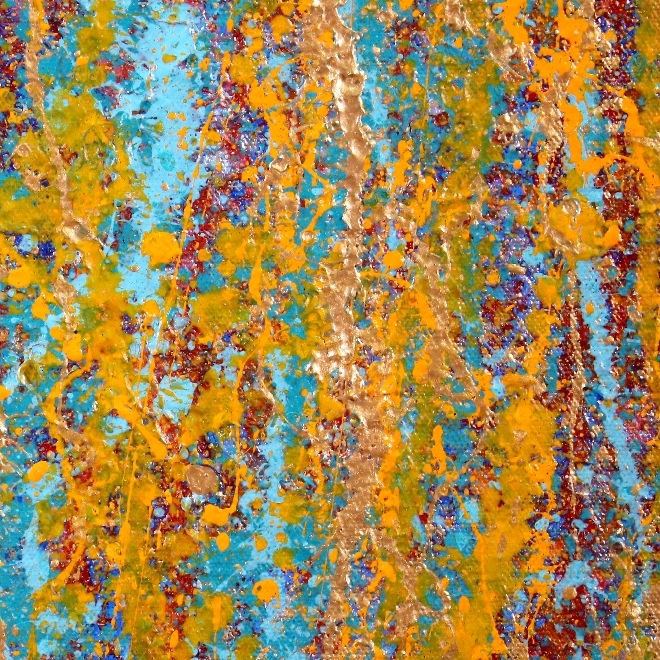 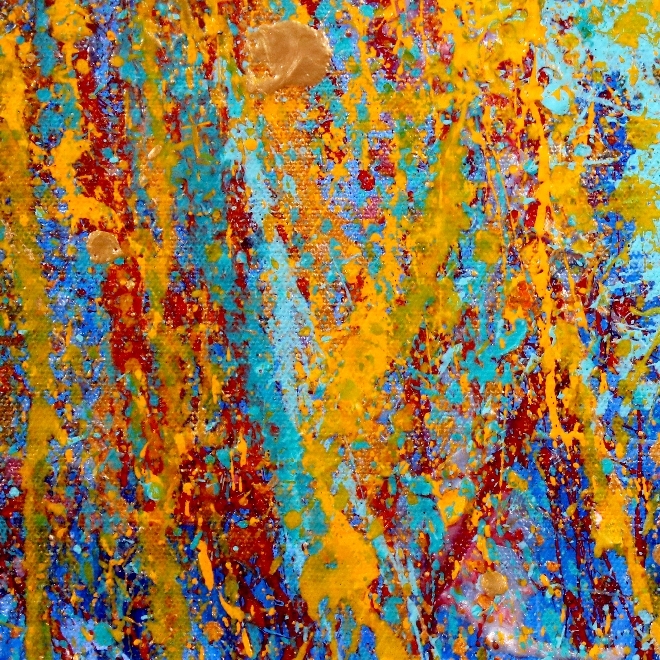 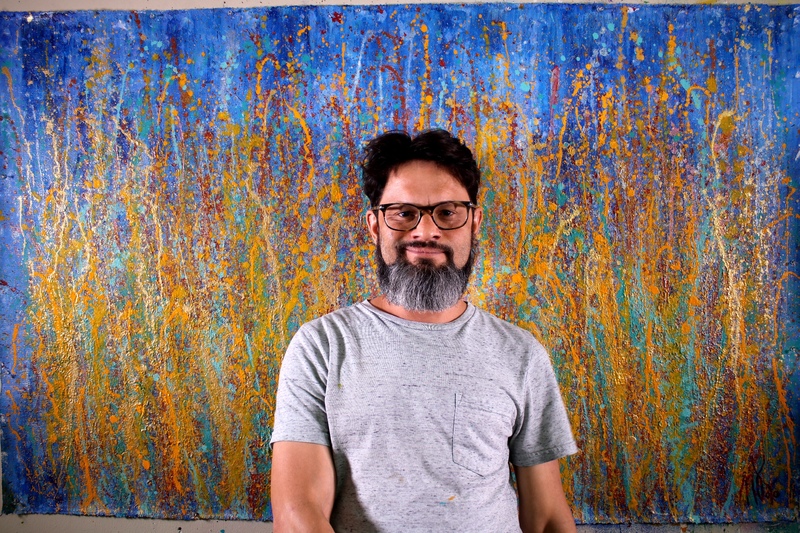 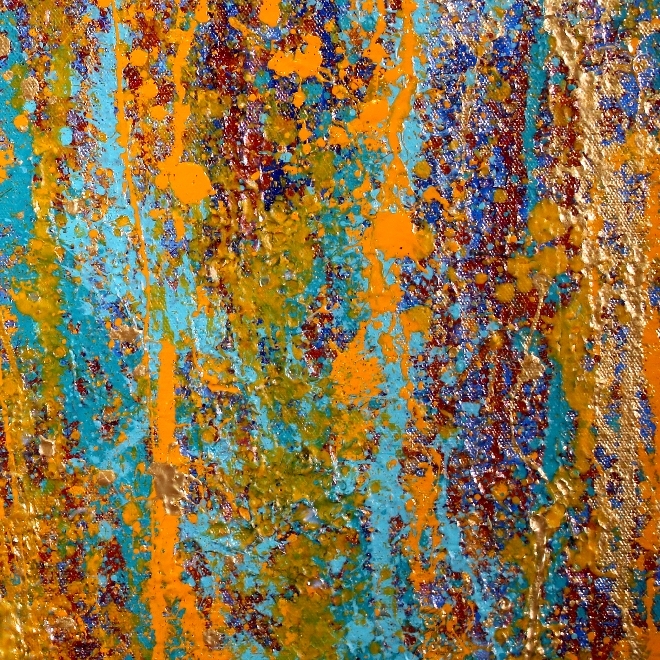 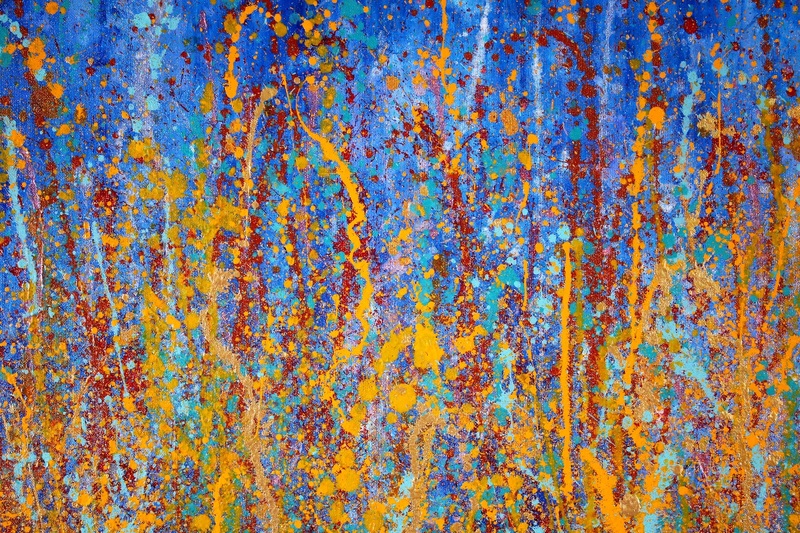 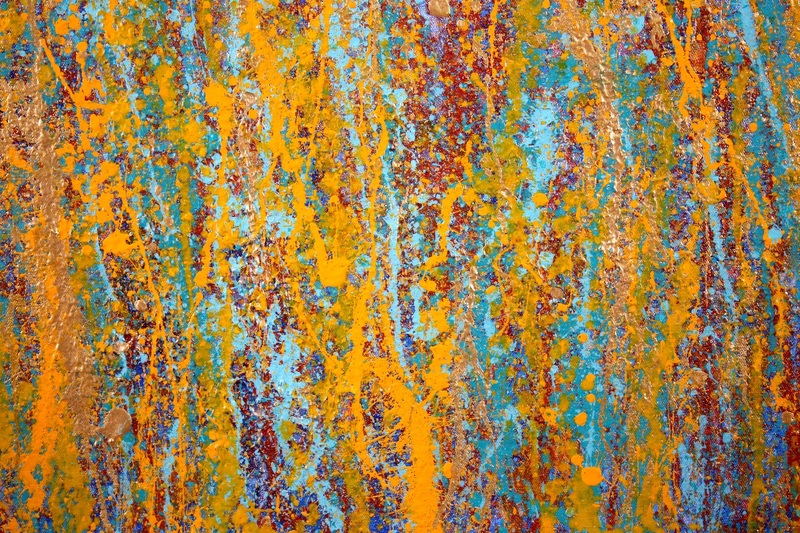 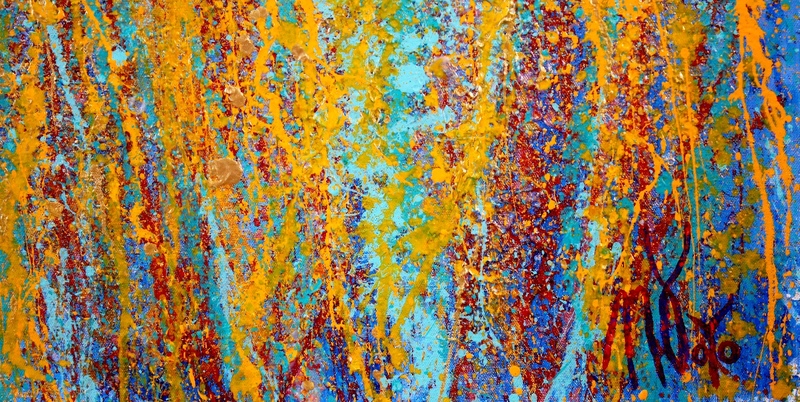 Abstract expressionistic bold painting with a lot of gold and yellow. 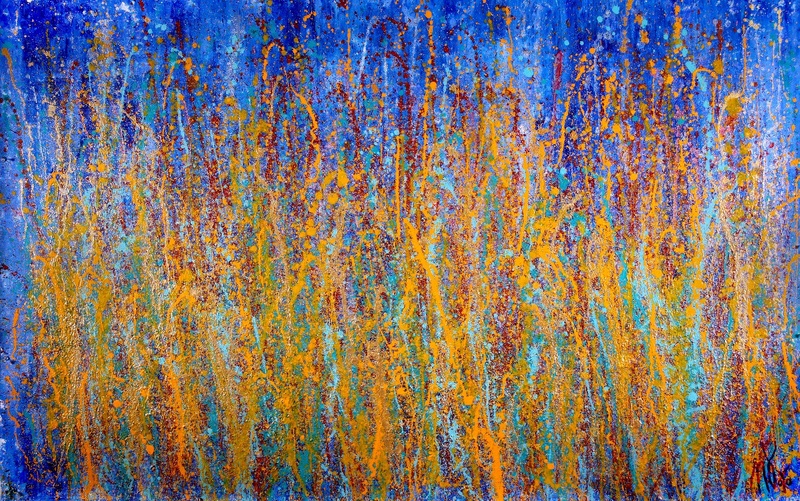 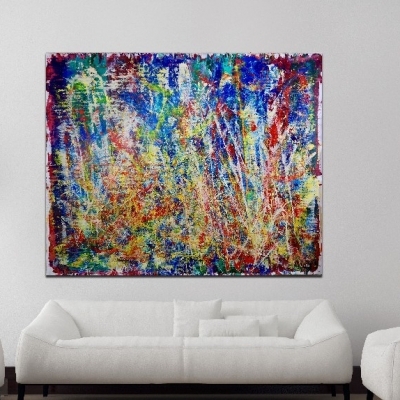 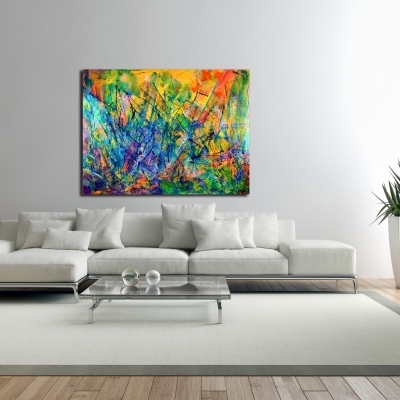 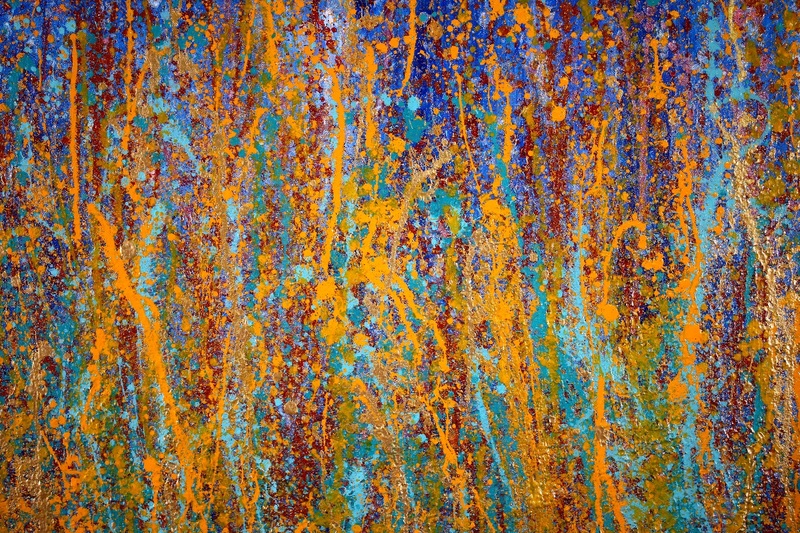 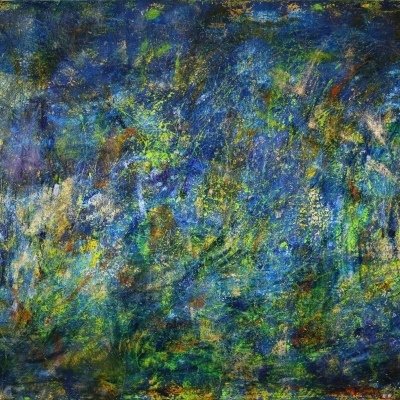 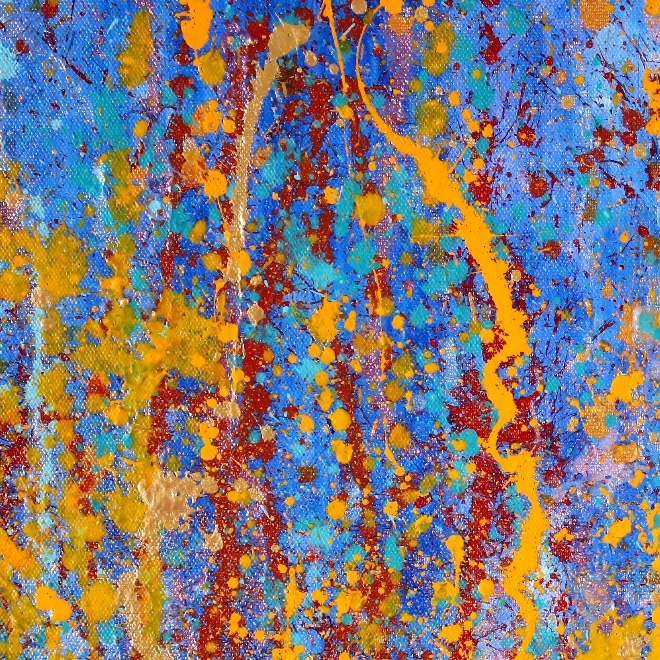 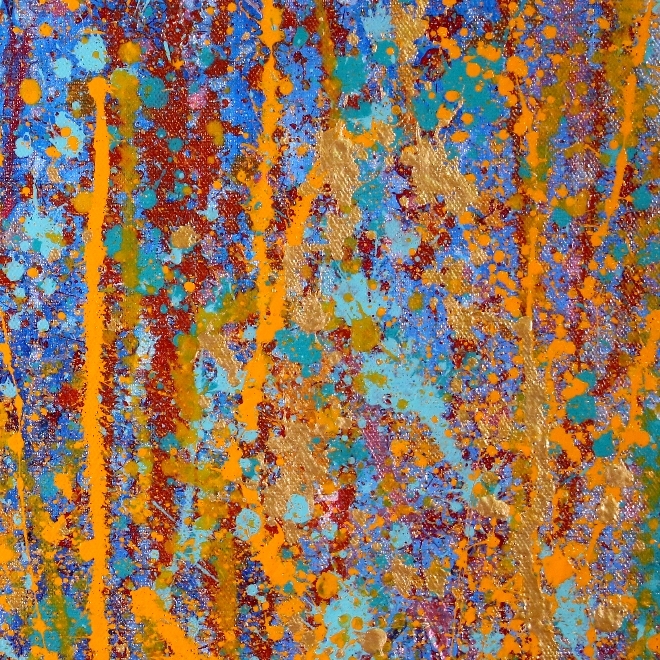 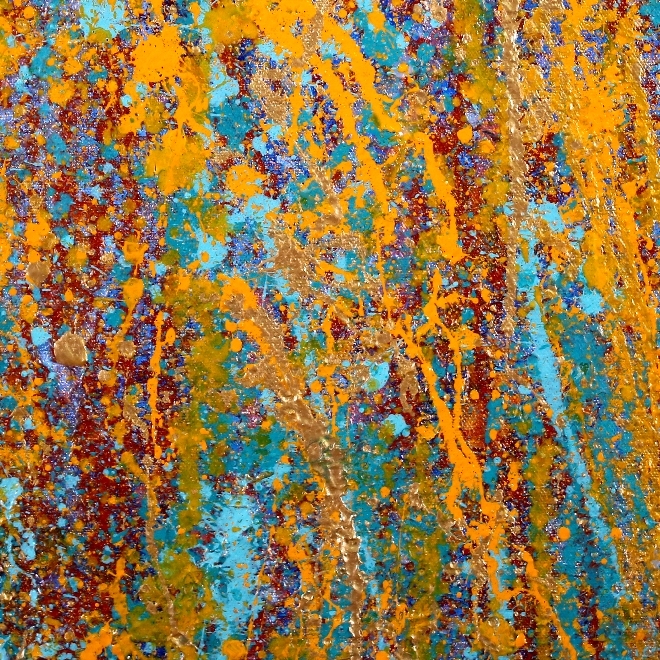 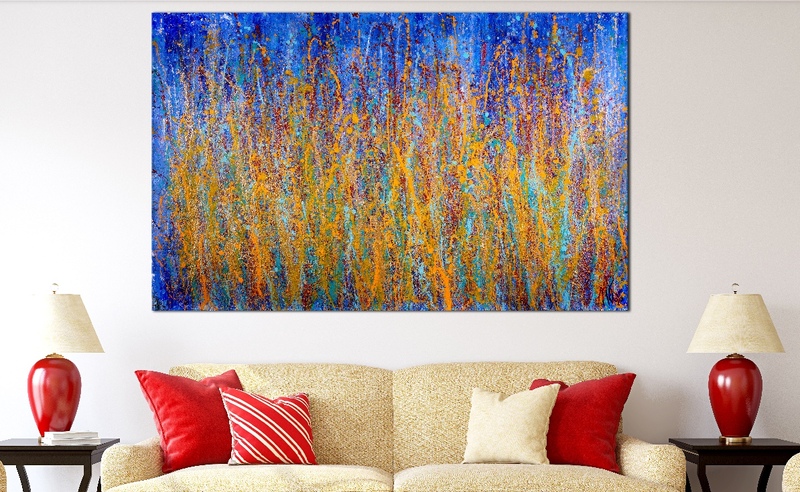 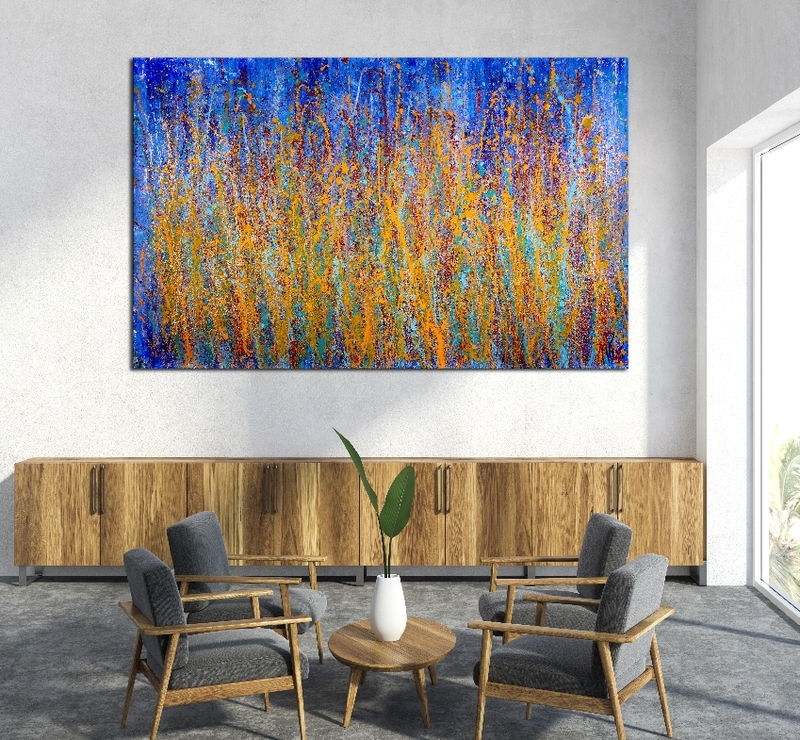 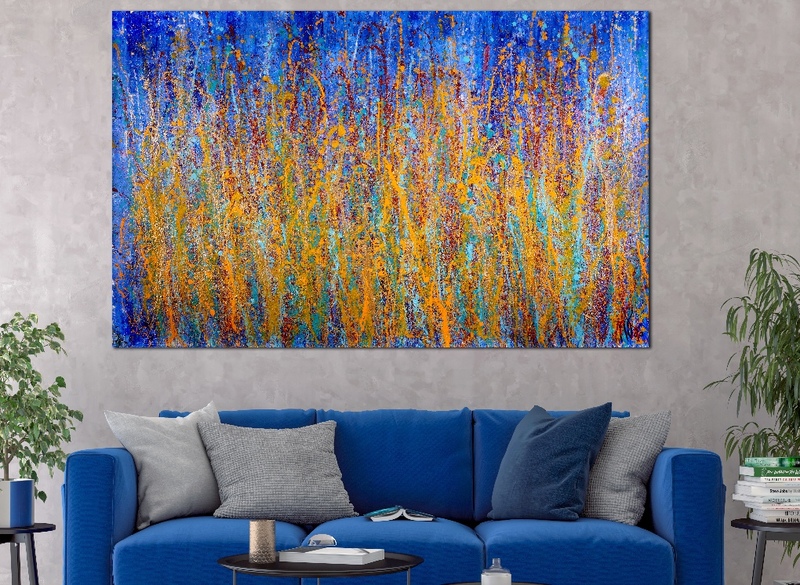 This artwork is reflective and glossy with mica particles and iridescent effects. 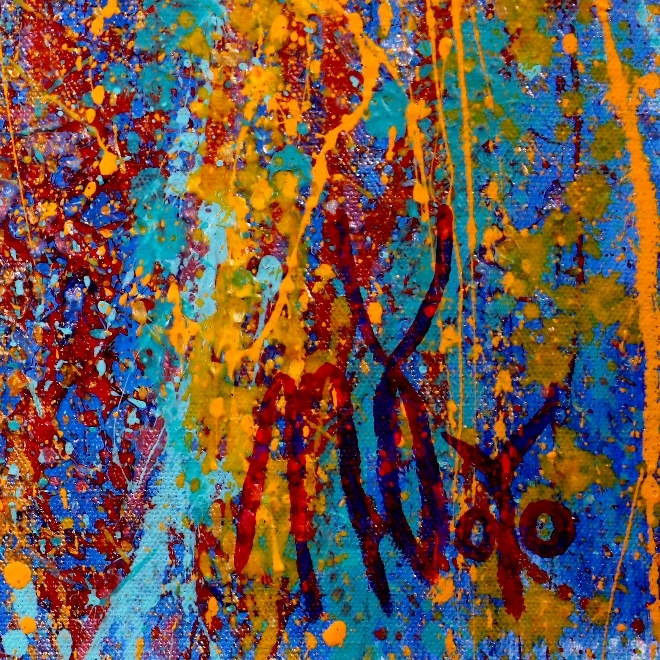 This work is boldly signed on the front. 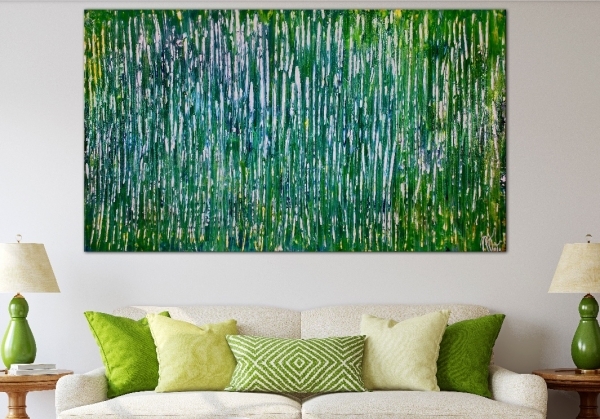 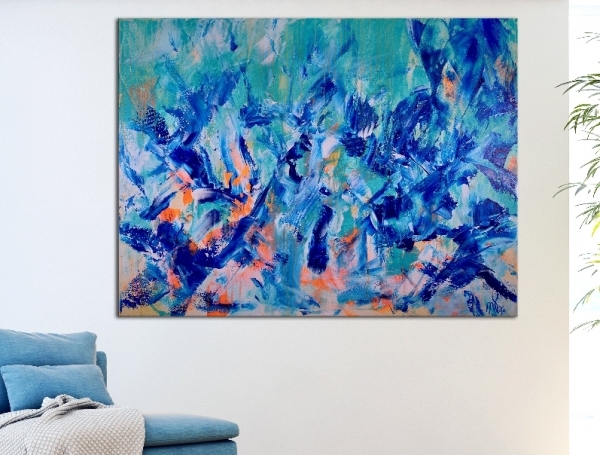 You will never become bored with this work in your home or office!